As soon as the weather starts to cool and it feels like fall, I crave anything with pumpkin. 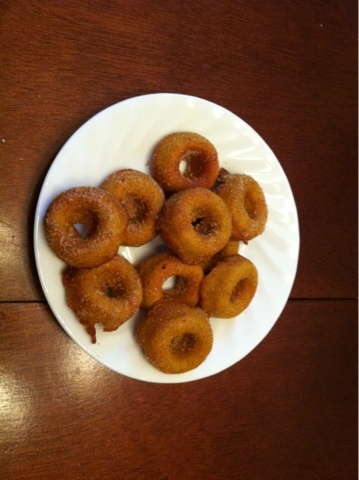 I bought some donuts from the grocery store and wanted to recreate them in a more healthier version. So, this is what I came up. I used a mini donut pan and this recipe made 36 little donuts. I baked them for about 18 minutes at 350. When they were still warm I sprinkled cinnamon and sugar on top.